Build your followers and grow your business on Twitter. 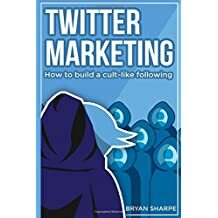 Bryan Sharpe reveals his greatest secrets of building Twitter following in this new book. 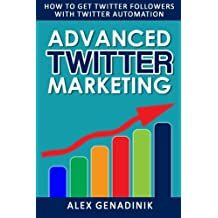 The author tells you about automatic Twitter marketing to get trending, to become an influencer, to turn it into cash and automate your social media activities. A must-read in this busy world! 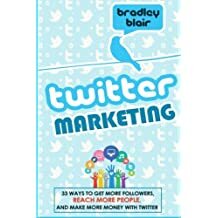 This book mainly focuses on building followers for your Twitter account. The book teaches you about digital marketing concepts, understanding your audience to target, understanding what they are looking for, developing your content strategies for them, outsourcing the work to automate the process, using Twitter Analytics etc. Great for beginners! 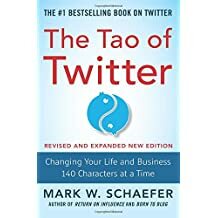 The book teaches you from setting up a Twitter account up to sales. ‘Learn to gain followers, make sales and automate the whole process’ is the main attraction of the book. Use right hashtags to easily acquire followers. According to the author, Twitter is an easy tool to attract people to your business using extremely effective ways. You’ll learn more about writing effective tweets, strategies to increase engagement, multiple Twitter accounts to drive more traffic and sales, third party programs to use and six steps for a winning Twitter marketing plan. A great guide worth reading! 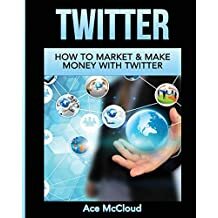 In this short book, the author teaches you advanced Twitter marketing techniques and strategies. You’ll learn more about marketing automation in this book. Learn effective techniques to increase engagement, sell from Twitter, grow Twitter followers, drive traffic to your website, increase your brand presence and automate daily tasks with Twitter. Highly recommended! 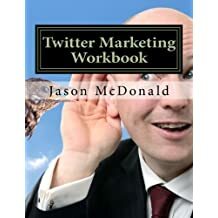 In this book, the bestselling author Jason McDonald reveals free marketing techniques using Twitter. Learn about Twitter as a marketing tool, tweeting strategy and free Twitter tools. A great companion you shouldn’t miss! 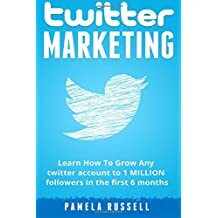 This updated edition contains new case studies, features and images helping businesses and entrepreneurs to start Twitter marketing. 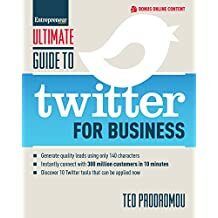 Try the expert advices and Twitter marketing techniques explained in the book to take advantages over your competitors. This step-by-step guide will help you create your Twitter account, customize Twitter profile and bio, follow Twitter accounts and block those accounts you don’t like, identify your local people, compose Tweets, share photos, use hashtags, retweets and other conventions, promote your business and more. A reader says about the book, “Easy to read, actually fun to fire up my Twitter account and play along with each chapter. Everyone has 30 spare minutes spread out over a week to read this book.” Recommended for beginners! There are hundreds of tips and strategies you might hear in Twitter marketing. But trying to figure out the best ones is not easy. Try the 33 effective, tested Twitter marketing ways. I’m sure you’ll get results. The book is a bit old but still worth reading. A great book from the Ultimate Series books. The book will show you how 140 characters or less and a hashtag can dramatically grow your brand and your business. Prodromou takes you step by step into the Twitterverse and shows you how to tweet your way to the top of your industry. Do you know any automated Twitter marketing system and other marketing tools? If the above books and guides are useful to you, please leave your valuable comment below and share this page to your loved ones online. 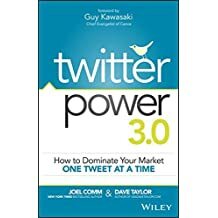 Read these best books about Twitter marketing from top authors and best twitter users of the world. Get top secrets of social media marketing from these recommended books to drive more cash customers to your site. 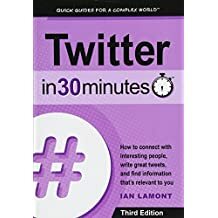 Great list of Twitter books that look really useful! Just started a content marketing campaign and Twitter has been our main platform for reaching out…thanks!